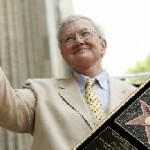 Champaign, IL – The Champaign Park District has announced the initial lineup of concerts, films, dance, theatre, comedy, and other special events to take place in the 2018-2019 season at the historic Virginia Theatre, 203 West Park Avenue, Champaign, IL. Season Subscriptions (to four or more shows in the theatre’s ‘VT Series’) go on sale Friday, June 29, 2018, at 10:00 A.M. at the Virginia box office, or charge by phone at 217-356-9063. Individual tickets to most shows go on sale at 10:00 A.M., Friday, July 20, 2018. 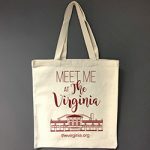 For more information, visit thevirginia.org. The 2018-2019 Virginia Theatre Performing Arts Season is sponsored by The News-Gazette, WILL-Illinois Public Media, and WCIA-TV. 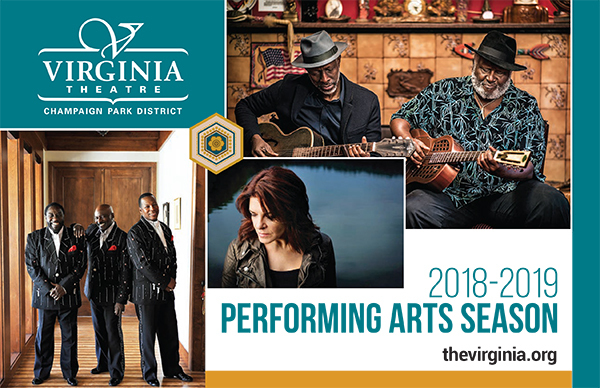 The 2018-2019 Virginia Theatre Performing Arts Season includes R&B sensations The O’Jays, Scottish-American comedian, author, and actor Craig Ferguson, and one of the country’s pre-eminent singer-songwriters, Rosanne Cash. The Virginia Theatre also proudly welcomes back Lyle Lovett, touring this year with legendary singer-songwriter Robert Earl Keen. 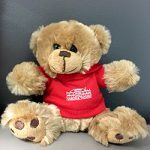 The schedule’s Winter events include holiday performances by 98°, Michael McDonald, and an appearance by the touring Broadway family show, Rudolph the Red-Nosed Reindeer. Also returning for the 2018-2019 season is the Virginia’s flexible Subscription package, with a specially-curated selection of over a dozen events to choose from. Subscribers pick four or more ‘VT Series’ shows and receive benefits like discounted tickets, first choice of premium seats, and the option to keep the same seats next season. Subscribers who purchase tickets to six or more ‘VT Series’ shows receive free admission to News-Gazette, Reel Deal and Rewind series movies all season long. Subscribers also get first choice of seats to events as they are added to the Virginia calendar throughout the year. For a full list of 2018-2019 season events at the Virginia, along with information on subscribing, purchasing individual tickets, and more – click here to download the press release. A full listing of the incredible year of entertainment can be found here.